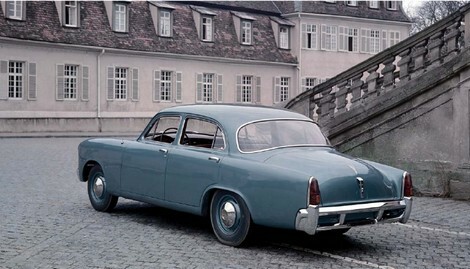 The Porsche Type 542 was the first four seat saloon ever built by the Stuttgart company - and it was built in 1952. After the death of Ferdinand Porsche in 1951 his son, Ferdinand E. (Ferry) and daughter, Louise, formed Porsche KG - the company we know today. Ferry was desperate to transform the company from a maker of niche sportscars (the only product at the time was the 356) into a global mainstream automobile manufacturer. To that end he set about trying to enter into partnerships with existing manufacturers where the partner would pay for Porsche to develop and build the product. His first success was with Studebaker who commissioned a four door saloon. Ferry Porsche had suggested a 1.5 litre rear engined coupe but this was rejected by Studebaker in favour of a 6 cylinder, front engined saloon. Thus, the Type 542 was born. 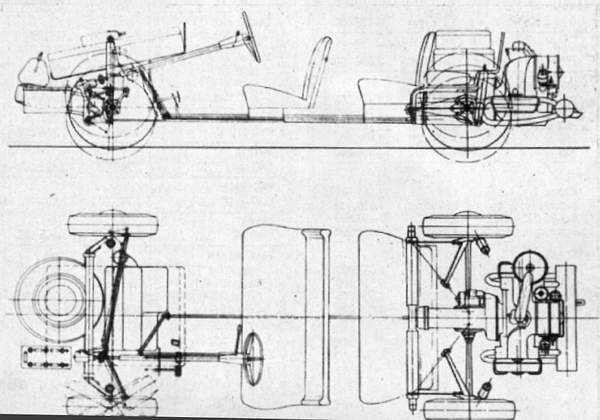 Porsche set about creating the prototype. 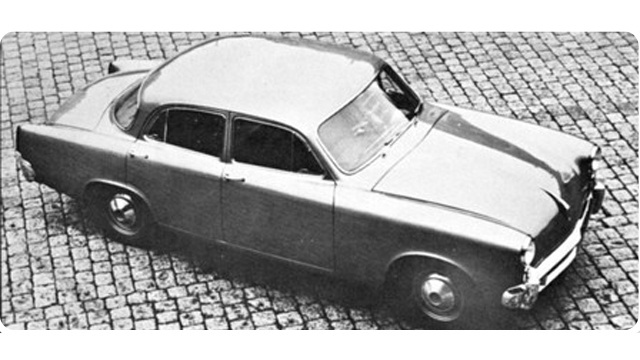 He ignored Studebaker's request and created a rear engined car, although it was a four door saloon. It also had independent suspension all round, a 2.8 metre wheelbase and came with a choice of two different engine types. One engine was an air-cooled, 3504cc, 120° V6, weighed 220kg and produced 98hp. This was dubbed the 542L. The other was water cooled, also a 3504cc, 120° V6, weighed 206kg and produced 106hp. This was called the 542W. The development of four prototype cars, two with each engine took 18 months and by 1954 the cars were ready and were shipped to the Studebaker factory in South Bend, Indiana in the US. By the time the cars arrived Studebaker were in serious financial trouble and it wasn't until 1956 that their director of experimental engineering evaluated the prototypes - a certain John DeLorean. DeLorean was scathing. He said in his report: "Some excessive vertical shake was noted. There still remains considerable lateral movement and rear-end steering, with undesirable amounts of oversteer noted in moderate to hard cornering. There is uneven tire wear. The car steers quickly, but hard, and requires constant attention and correction for road wander. Cross-winds and slippery spots make driving tedious and rather dangerous. The radiator, grille, hood and deck slopes are quite steep and not in keeping with current American boxy-styling. The car is full width but rather short. It appears small and bug-like due to the sloping hood and squeezed-in rear fender treatment. This vehicle has a large amount of technical appeal, but a number of items need refinement to increase its overall appeal as a small car to the average American car buyer. The 1956 Champion or Commander is preferred to the Porsche for American driving." And that was it. The end of the Porsche Type 542 and almost the last saloon Porsche would build until the Panamera in 2010. Interestingly a 4 door saloon concept, called the 989 was produced in 1989 but never made it into production - but that's another story. Many thanks to Adrian Streather, Porsche historian and author, for pointing out the existence of the Type 542 to us, and for correcting errors in the first draft of this article.